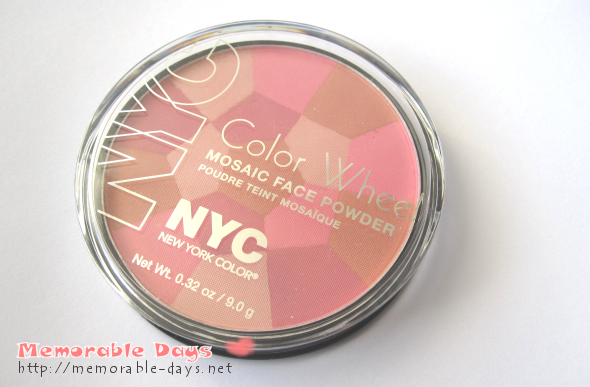 Review: NYC Color Wheel Mosaic Face Powder | Memorable Days : Beauty Blog - Korean Beauty, European, American Product Reviews. This is the first New York Color (NYC) product that I'm trying. This color wheel is available in more colors. I bought the 723A Pink Cheek Glow, they also have 722 Translucent Highlighter Glow, 724 All Over Bronze Glow and the 725 Rose Glow. The one that I bought rather looks like a blush than a face powder to me xD. Accents cheeks with a rosy glow and helps to reduce shine. Oil absorbing. Fragrance free. TO USE: Apply with brush and blend. Wear alone or over make-up. The packaging looks simple, but still nice. One thing that I don't like is the cap. The cap can easily go off when you have this in your makeup bag =.=". It stayed on my cheeks for 4-5 hours or so. Awesome pattern ^^. 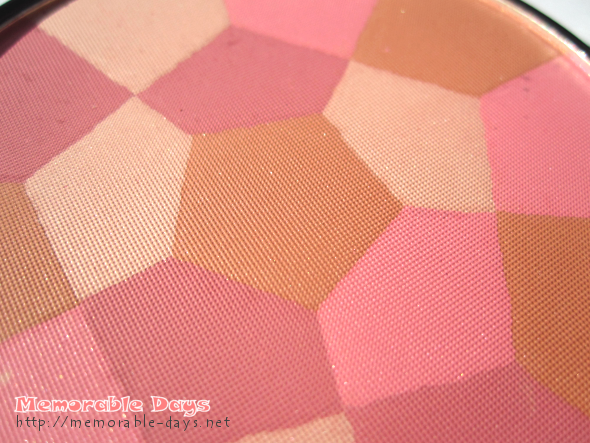 I like the cool mosaic pattern on this face powder, so that's the main reason why I bought it ^__^. Besides, it also has a bit shimmer on it, but that's not noticeable when it's on your cheeks. This color wheel has 4 different colors. When you swirl your brush on it, you will combine the colors and notice a dusty rose pink color. I swatched the 4 colors without a base. 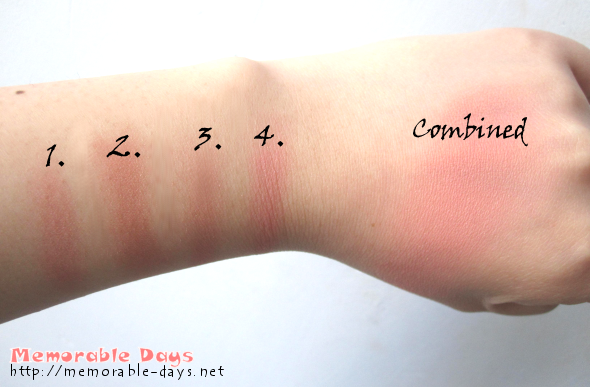 Number 2 and 4 are very pigmented. Number 1 and 3 is less pigmented than the rest. In the picture below you will see the colors combined. I applied a base beforehand, otherwise you wouldn't be able to see the color in the picture. It's easy to apply and easy to blend. The color is a bit too pink to me, but it looks ok when I apply a very very sheer layer on my cheeks ^^. I think that it will be more suitable for people with a darker skin tone. I look like a doll with very pink cheeks if I apply too much xD lol I'm too pale for this color. Overall I think it's a good blush for its price. I wouldn't recommend this blush to people with a pale skin like me though >.<". Would you suggest any other type of blush that not as bright, one that's more subtle and naturally looking? @Anna, Uhhmm.. I don't know if this one is sold in your country. But I reviewed the Angelfit brighten up blush a while back from Maybelline. Link: http://www.memorable-days.net/2011/02/review-maybelline-angelfit-brighten-up.html. De kleur ziet er cute uit. Heeft de blush een koude of een warme ondertoon? Thank you so much for this review. I've always been curious about NYC cosmetics... I mean they're so cheap I often wonder what the catch is XD. By the way I also want to thank you so much for all your nail art review, they're so great! There are too many for me to go through them all and comment on but I really like all of them. Now I just need nails :(. Ik dacht dat NYC niet op dieren testte! Gelukkig dat ik dat nu wel weet, ik probeer het namelijk echt te vermijden. @Marieke, ahhh.. my bad my bad... NYC test NIET op dieren. Had het perongeluk erbij gezet.. Het is dierproefvrij! hello! cute blusher no wonder it caught your eye! im confused though-in canada-i saw one stand of NYC products so it can't be that bad...but i also see it in dollar stores etc...i dont think theyre fakes...so is NYC a cheap brand/cheap but good quality brand/or they're fakes? 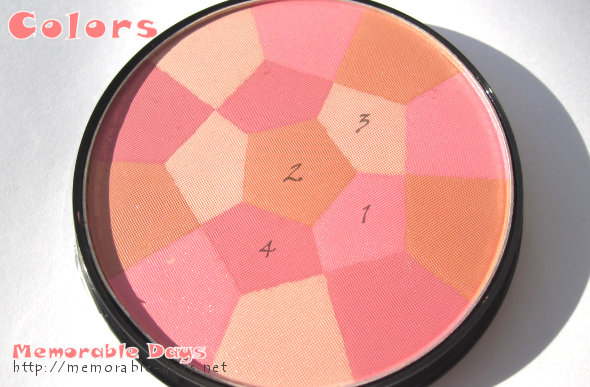 I use this mosaic blush all the time, only in the peach shades. I love it! @hihihi, it's a budget brand. The products are all affordable thus not expensive. About the quality, that differs from the product. The nail polishes are too sheer, which aren't that good. The blushes and bronzers are good for its price. great review on the blusher. nice swatches! @flowercream, Het heeft een dusty rose pink color en het heeft een koude undertone ;).. ik weet dat het best moeilijk te zien is op me foto die ik had genomen >.<". @hihihi, I'm glad that i could help^^. The bronzers (which is called NYC sun 2 sun) is also good for its price. Also the eyeshadows are pigmented (that surprised me haha)!! I have one of the INDIVIDUALEYES CUSTOM COMPACT eye shadows myself which is pigmented as well ^^. 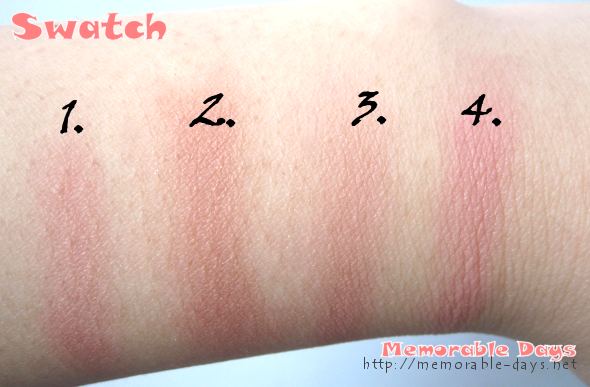 I'm sure that you can swatch it in the drugstore =D so check it out when you're there ;). @Elle, didn't even notice it, but hey you're right xD haha. It looks very similar, the blush colors as well >.<".